What is the Groasis Growboxx? 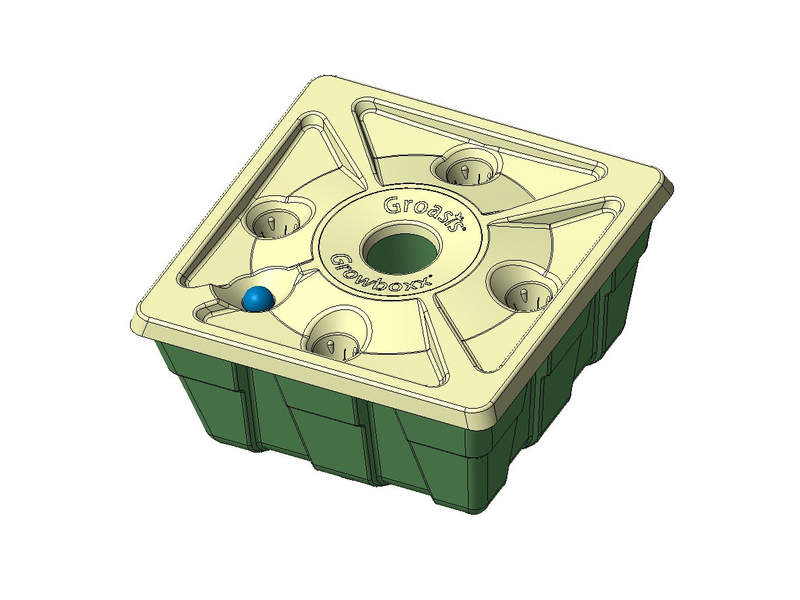 The Growboxx® plant cocoon has also been referred to as the “intelligent bucket”. 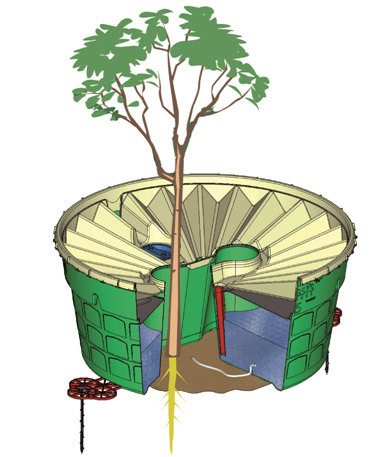 As you can see from the image below, the Growboxx plant cocoon is a square box with a hole in the middle, which is placed around a young tree (no seeds!) such as for instance a young fruit tree or another productive tree. You can put some seeds and soil in the plant plugs which are integrated into the lid of the Growboxx®. 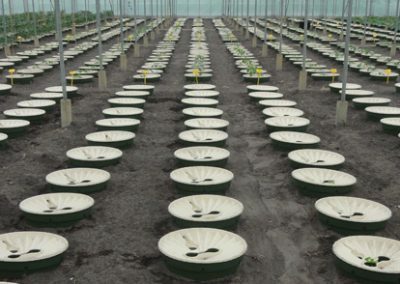 The seeds will germinate and grow hydroponically in the water which is stored inside the Growboxx®. 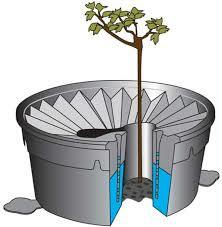 If you use the Growboxx®, it is very easy to grow a tree in combination with 4 vegetables, shrubs or flowers. It is even possible to cut a small piece from the lid and put a plant pot in the resulting hole. If you cut the bottom of the plant pot, the roots can grow in the water that is stored inside the Growboxx® plant cocoon. For more technical information, please read the datasheet of the Growboxx® plant cocoon. Website: What is the Growboxx? 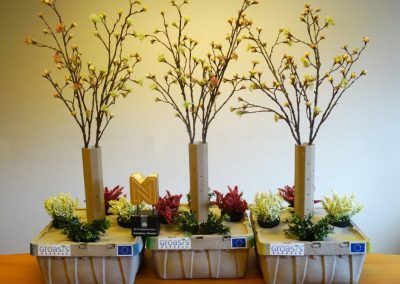 Do you think Growboxx can make a difference in Europe?